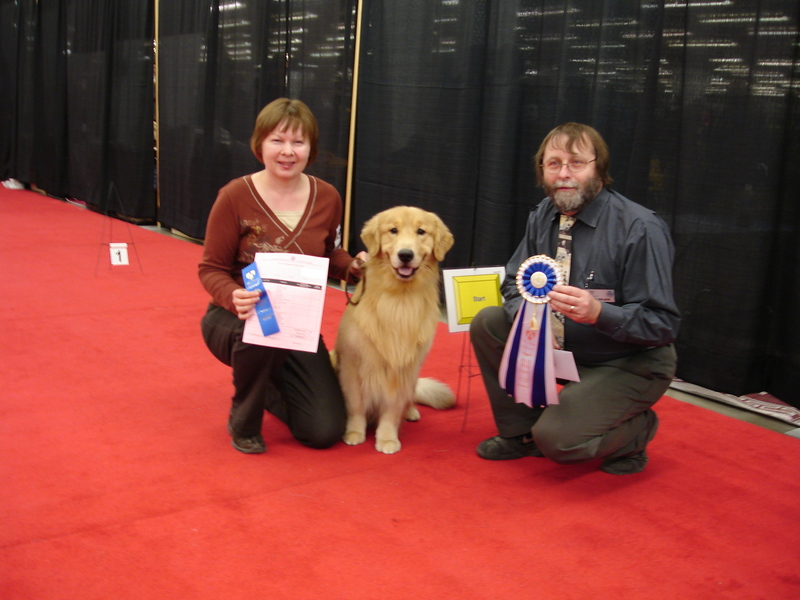 First and foremost our dog’s are family members that we enjoy as companions at home and on travels. 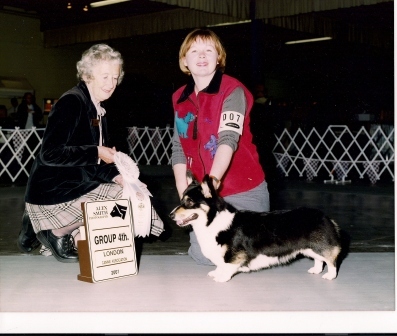 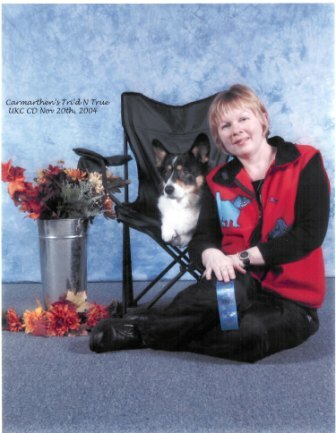 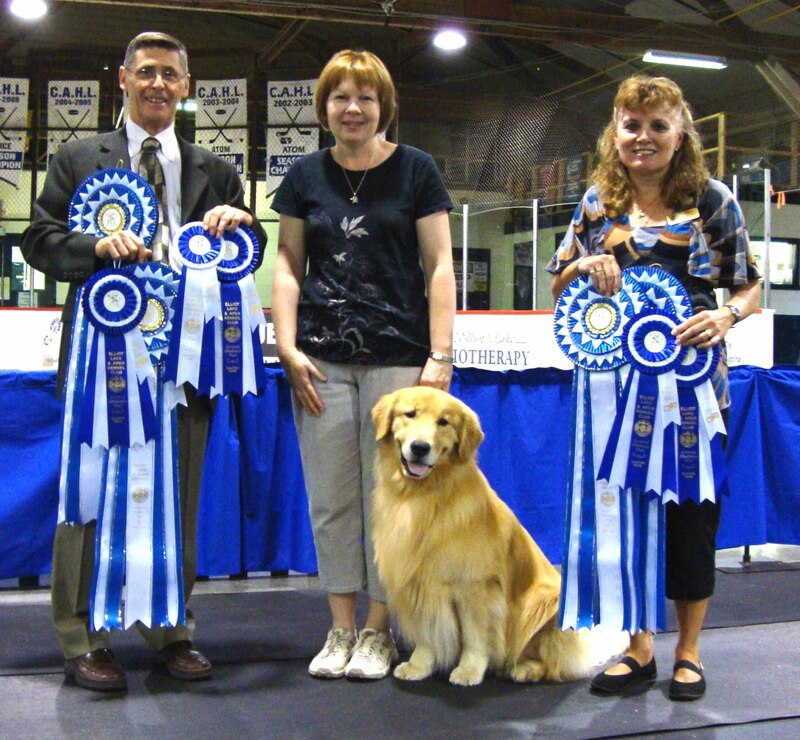 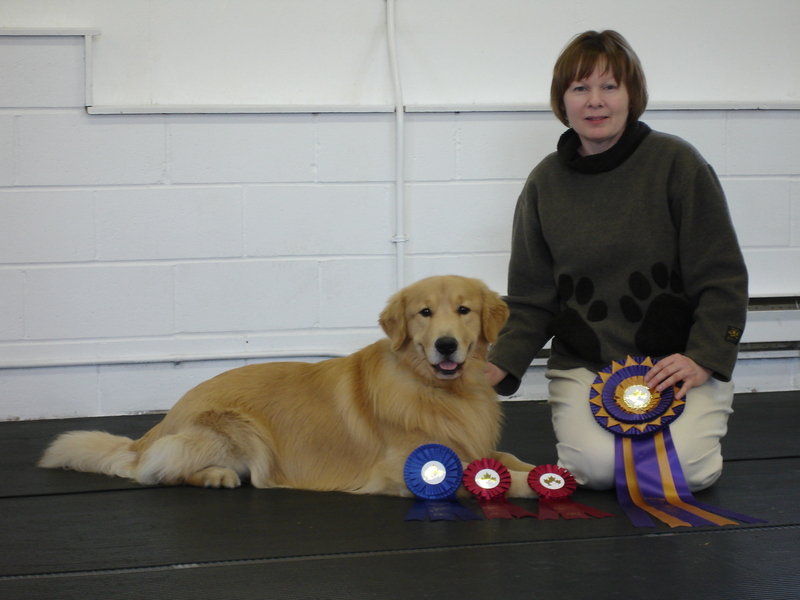 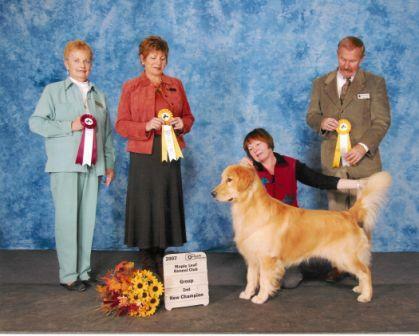 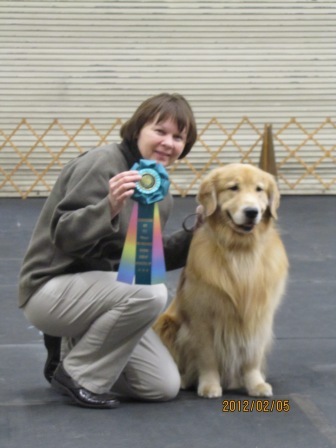 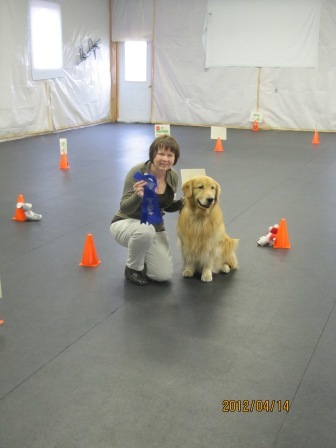 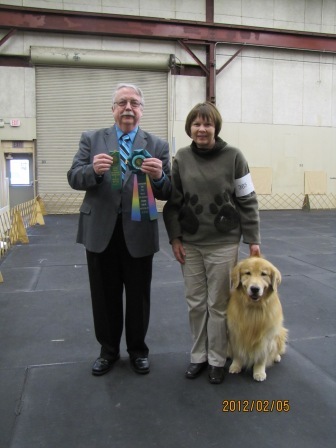 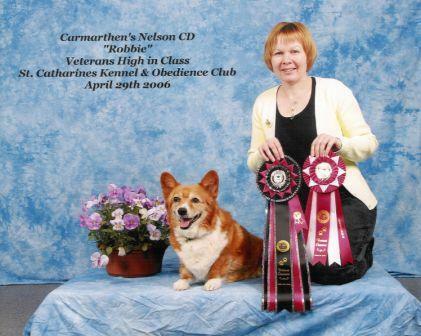 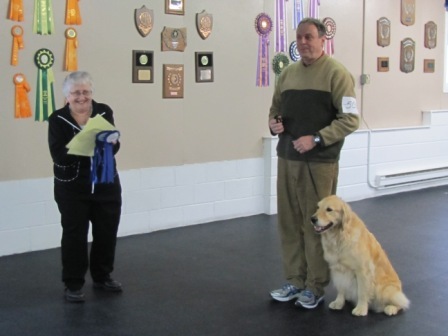 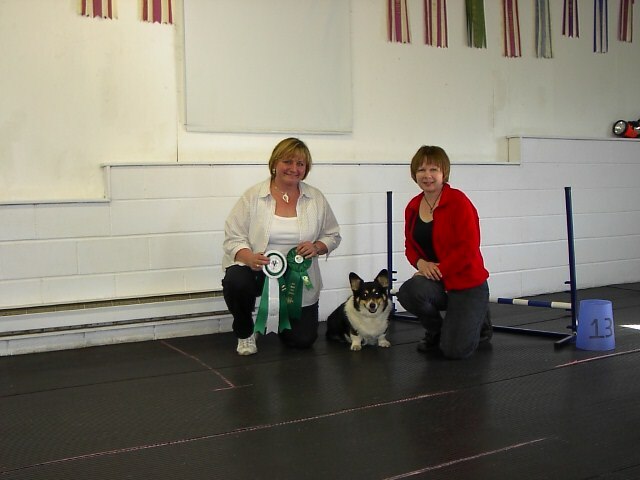 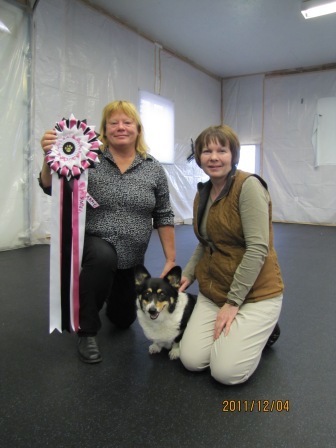 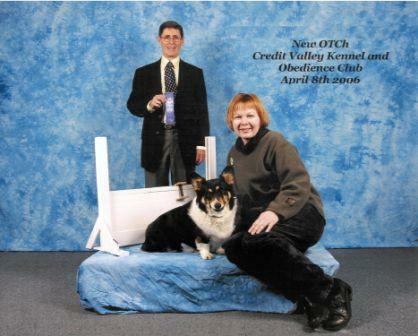 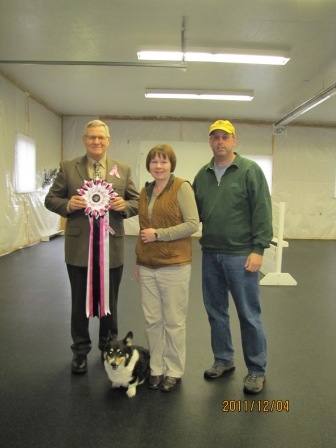 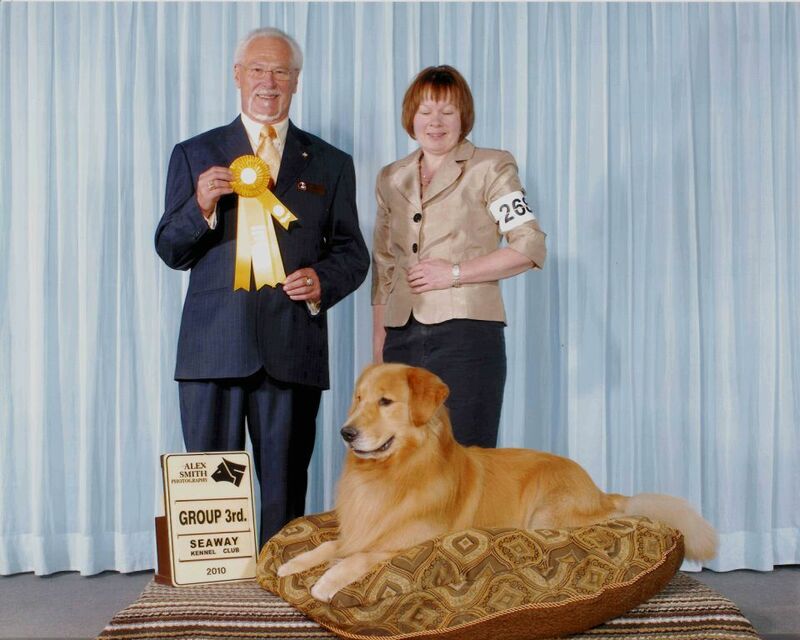 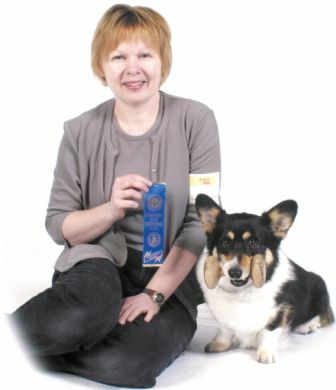 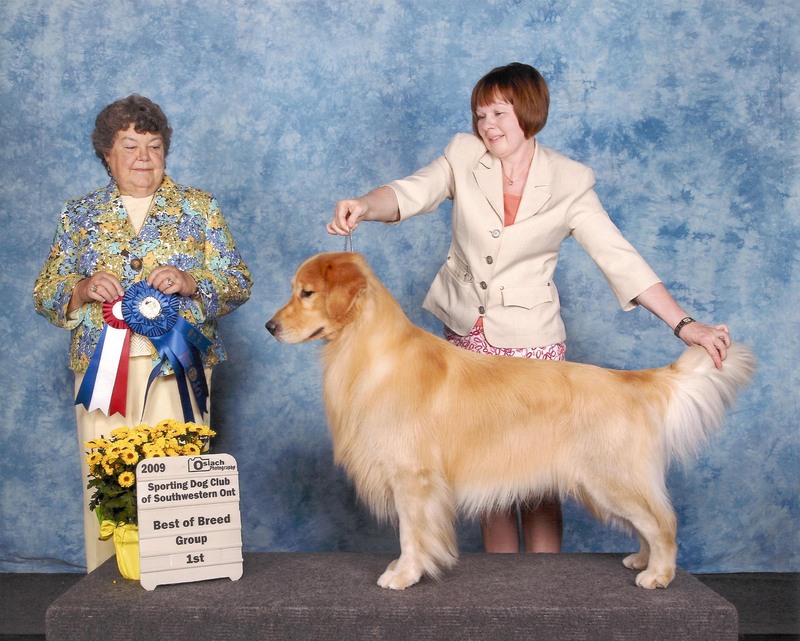 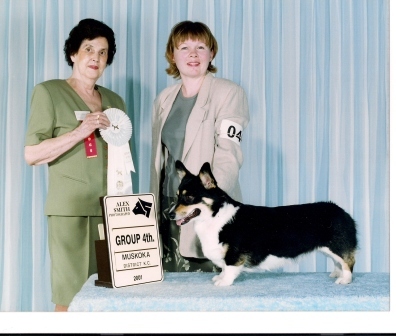 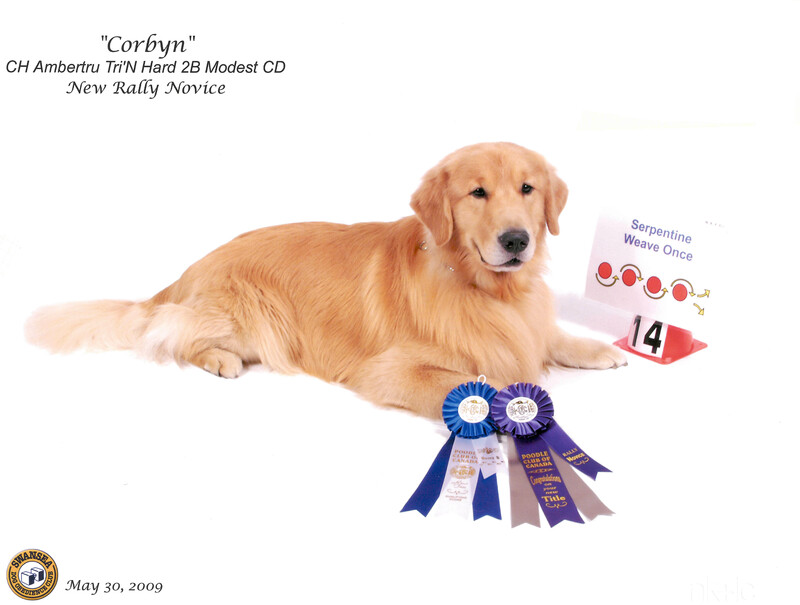 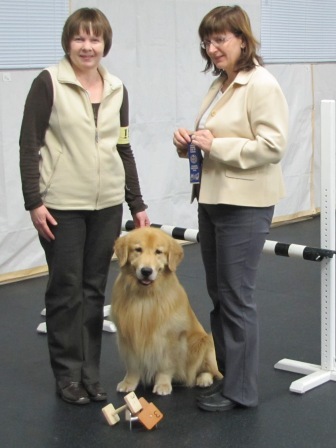 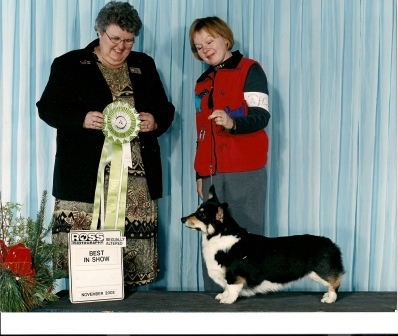 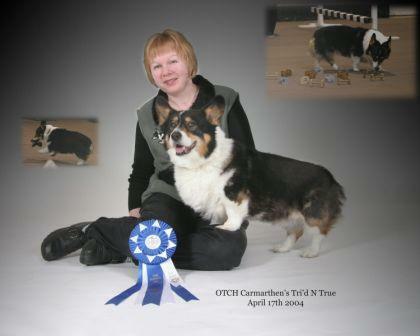 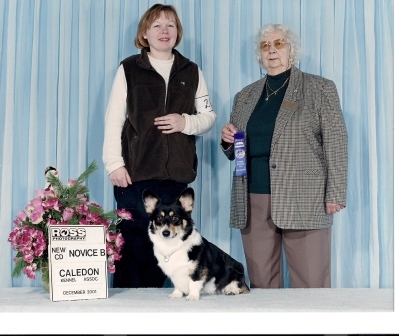 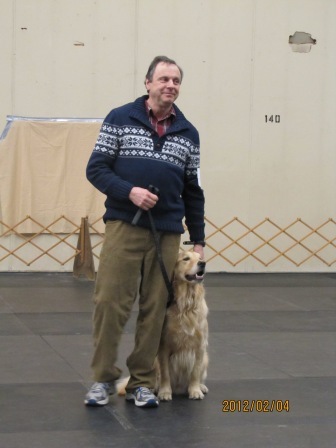 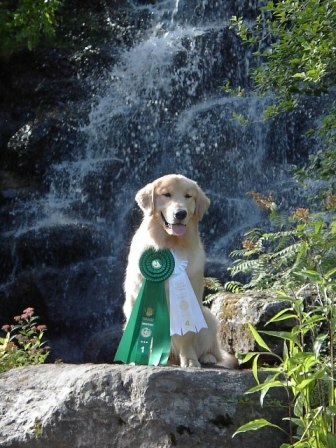 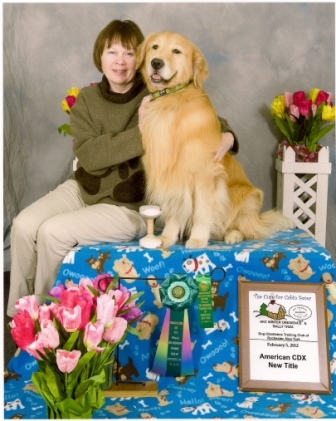 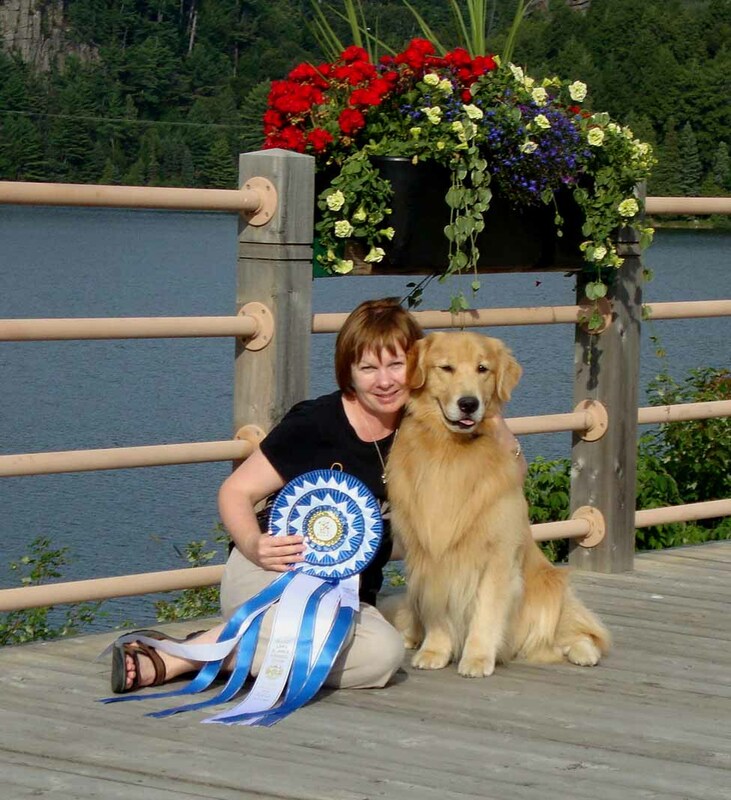 July/07: Sarnia Kennel Club – Winners Dog, Best of Winners, Best of Breed – 4 points from Senior Puppy class. 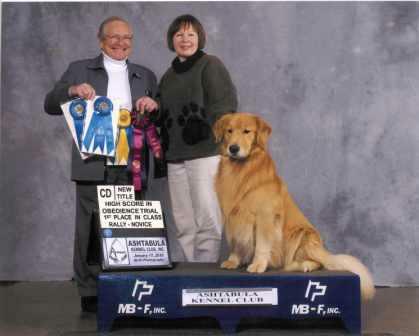 Our dogs teach us so much. 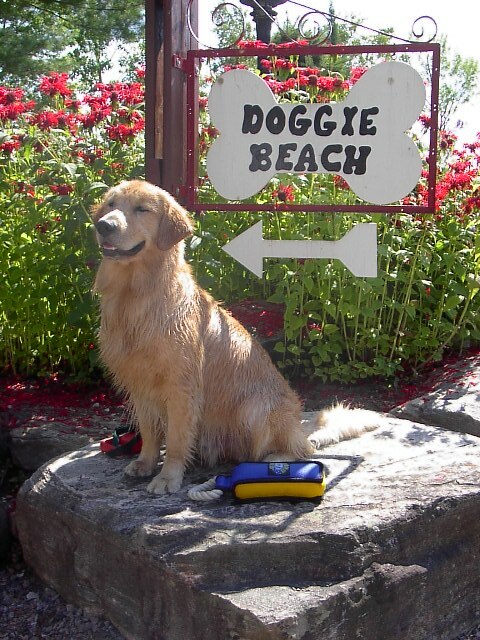 There are no would haves, or should haves for our dogs. 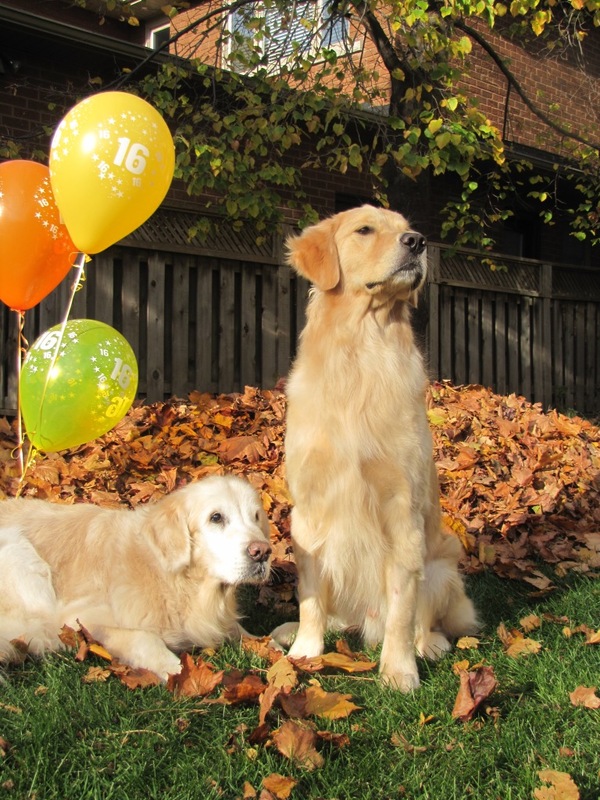 They live in the moment, so when I think of our dogs, I think of each moment we have them as a string of pearls, each a perfect life time, filled with love and joy, and all for us. 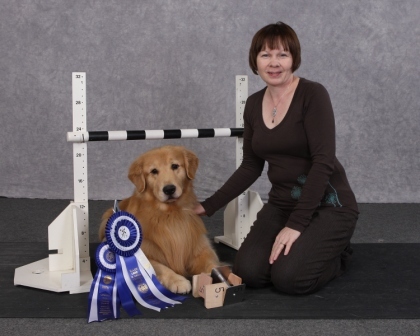 Suzi, thank you for your kind words. 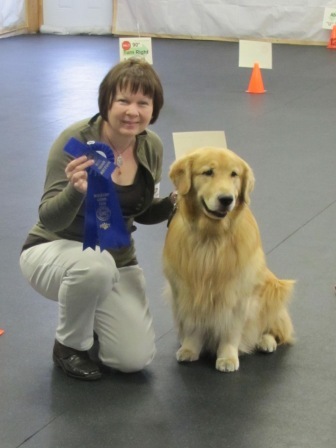 Please Check Out “Brenna’s Journey“. 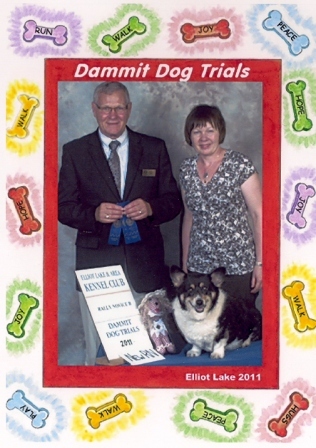 Click “Here“. 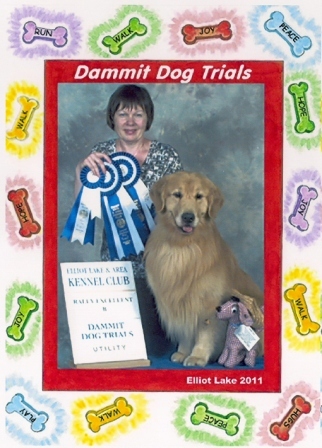 This rosette is awarded to an inspirational dog and handler team that reflect the qualities of a person overcoming challenges in their own lives or that of their dogs and yet are able to return to the competition ring. 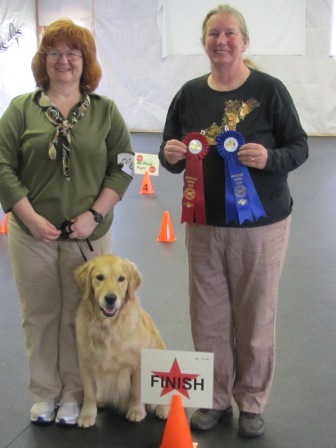 This team was able to strive and achieve their goals. 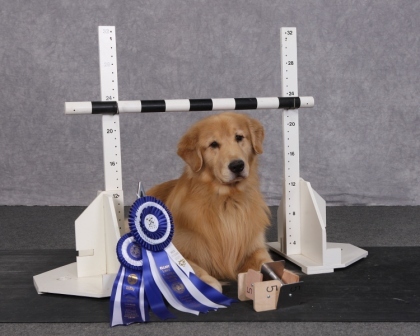 This shows qualities such as hard work, dedication, perseverance, positive attitude, belief in oneself and others, and the strength to overcome obstacles with which they were faced.